When I was growing up, a car that rolled over 100,000 miles was something to take note of. Flash forward twenty five years and it is common place see cars with plenty of life at 200,000+ miles. 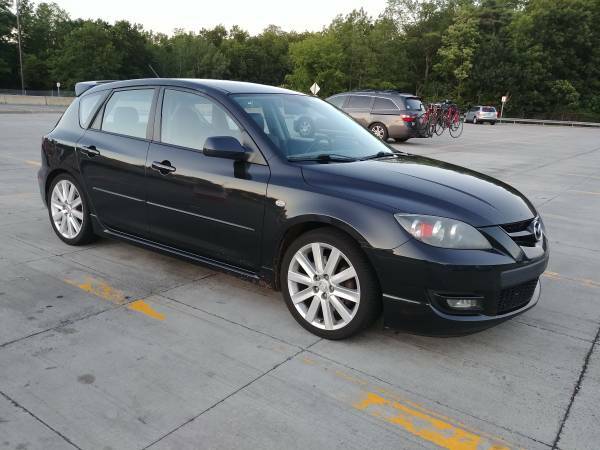 The 2007-2009 Mazdaspeed 3 was the first real hit for the brand. Mazdaspeed's first go at things with the Protege was a somewhat lukewarm effort besieged by an engine that grenaded itself if boosted much over stock level. The Speed 3 righted the ship with a very potent 263 hp 2.3 turbo engine and 6 speed trans that still has a strong aftermarket tuner following. It is rare to see a late model hot hatch from any brand in 100% stock unmodified condition. 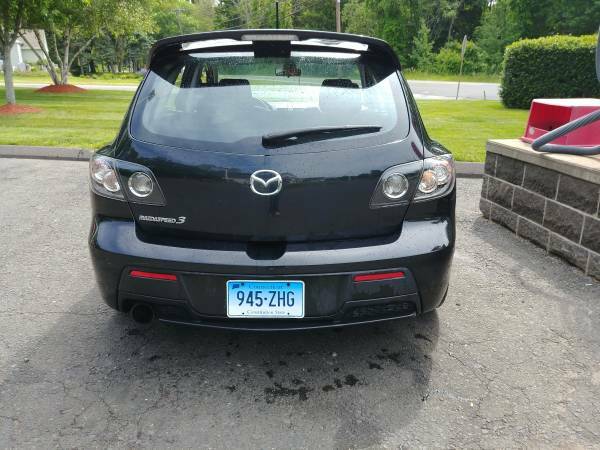 Find this especially clean 2008 Mazdaspeed 3 for sale in Coventry, CT for $4,800 via craigslist. 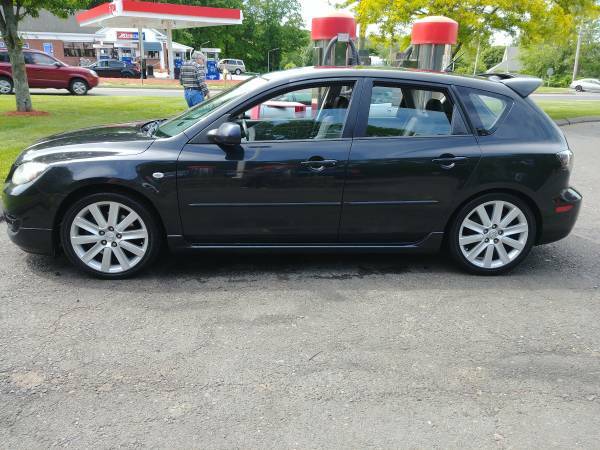 Selling my 2008 Mazdaspeed 3, she's in excellent shape for the mileage. Currently at 220k miles but incredibly well maintained and runs and drives excellent. Has every option including Bose sound system with subwoofer, Xenon headlights and LED taillights. Every option works, including A/C. No warning lights and never gave me any problems. Uses no oil between changes, always use Rotella T6 full synthetic oil. Turbo in great shape, car has never been modified and never been abused. I'm well versed in Turbo cars and know how to treat them. Body is in great shape with no rust and only a few small dings. Interior in very good shape. Transmission shifts smoothly with no grinds, clutch grabs well with no slipping or signs of wear. Only things it could use is sway bar bushings in the rear which is a very common and known issue with these cars, and some new window clips as they don't roll up evenly in front, motors are fine though. Cory is working on thinning his inventory of rare Mercedes W124 parts and Recaro seats. The mere fact that this car runs at 220k is proof of careful maintenance. These 2.3's do not like long intervals between oil changes. Absolute GEM of an engine! So much low end torque you find yourself driving it like a small displacement V8... skipping gears and just rolling on the power from low RPM. This is not an engine that likes to rip to redline... it really is a 2000 - 6000 RPM motor with a lot of grunt and the transmissions can take anvil like, clutch free shifts with no complaints. A truly great drivetrain. I miss mine up until the point I remember it is FWD. What would be great is to transplant this motor into something resto-modish.. like a Renault R5 Turbo.